World War II hero who helped the British Army rescue fellow Hungarian Jews who were en route to the Auschwitz concentration camp. She was subsequently arrested and executed. She moved from her native Hungary to the British Mandate of Palestine, where she became a paratrooper in the British Women's Auxiliary Air Force. She was played by Maruschka Detmers in Hanna's War, a 1988 film based on her life story. 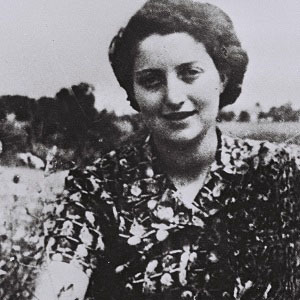 She and her brother Gyorgy were the children of a Hungarian-Jewish playwright. A poet as well as a war hero, she wrote a famous poem -- "Eli, Eli" -- that was turned into a song that was later performed by Ofra Haza.